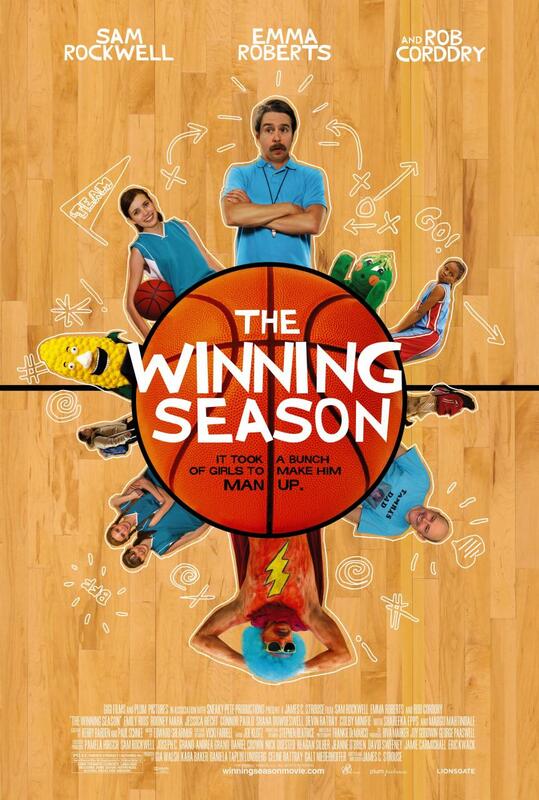 The Winning Season – It took a bunch of girls to make him man up. Screenplay by James C. Strouse. Bill (Rockwell) is busing tables and that could be the bright point in his life. His friend Terry (Corddry) asks him if he wants to coach basketball. He has had to jump through every hoop possible to convince the school that Bill should be given a chance to coach. There is one catch though he is being asked to coach the girls basketball team. The team is far worse than he imagined but he was convinced his competition would be the same. He realizes after the first game he was wrong. If this team was going to compete they would have to practice very hard. With some very clever scenes we watch as he teaches the girls about basketball and they help him pull his life together. This movie misses here and there but you can tell the effort was there from writer/director James C. Strouse. Sam Rockwell gives a very good performance and Margo Martindale is just as good as Donna. Directors’ Previous Movies: Grace Is Gone. If you liked this try: Hoosiers, Dodgeball, A League of Their Own.